The LASP Engineering division has a range of capabilities that enable us to take instruments and components from concept through finished product. The story of a LASP-engineered instrument typically starts when a scientist poses a question that could be answered by a specific type of data. The scientist discusses the data needed with the engineering group, which recommends the best type of detector to take the data. Next, mechanical and materials engineers design the detector so that it can withstand its intended environment—for example, the shaking of launch, specific radiation levels, and temperature extremes. Electrical and parts engineers also work on the detector design, developing appropriate computer systems for the detector, and software engineers create the software that will drive the instrument. 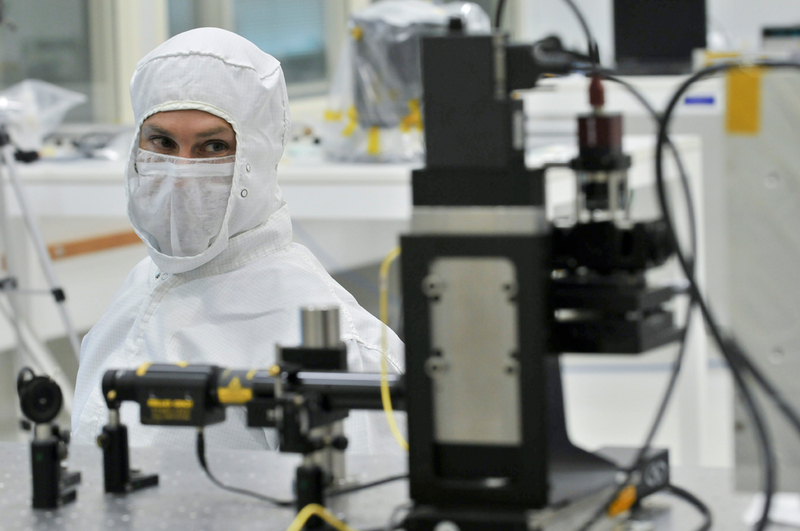 Once the detector has been designed so that its materials, parts, and overall design meet the needs of the instrument specifications, LASP begins instrument production. Frequently, this means procuring materials to very stringent specifications and building components from these materials on-site. We also work closely with trusted vendors to procure some vendor-supplied components. As the instrument is integrated, components and the finished product go through extensive calibration and testing to be sure that all aspects of the piece are performing to specifications. Our Quality Assurance personnel watch over the development and production of the instrument, ensuring that we meet all the necessary standards throughout the process.